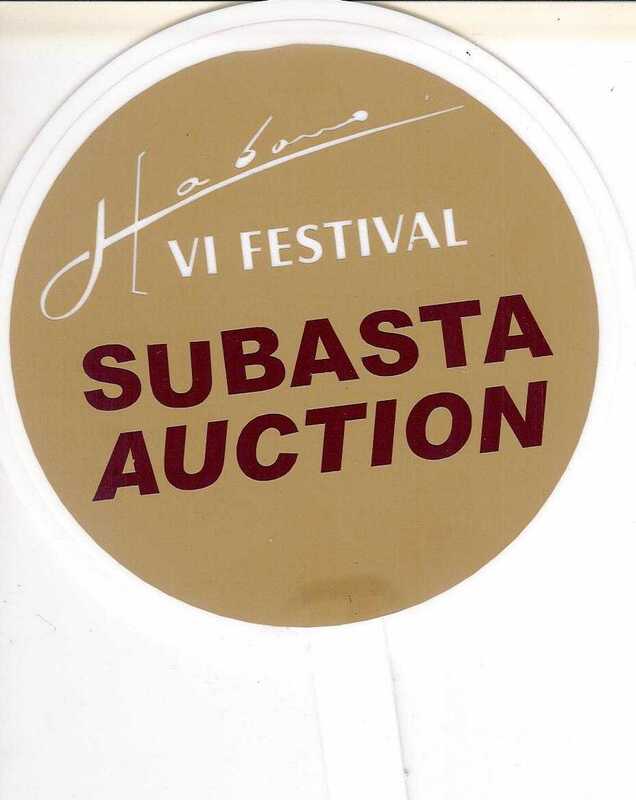 Habanos SA will be holding the Festival's VI event from 22nd February to 27th February 2004! 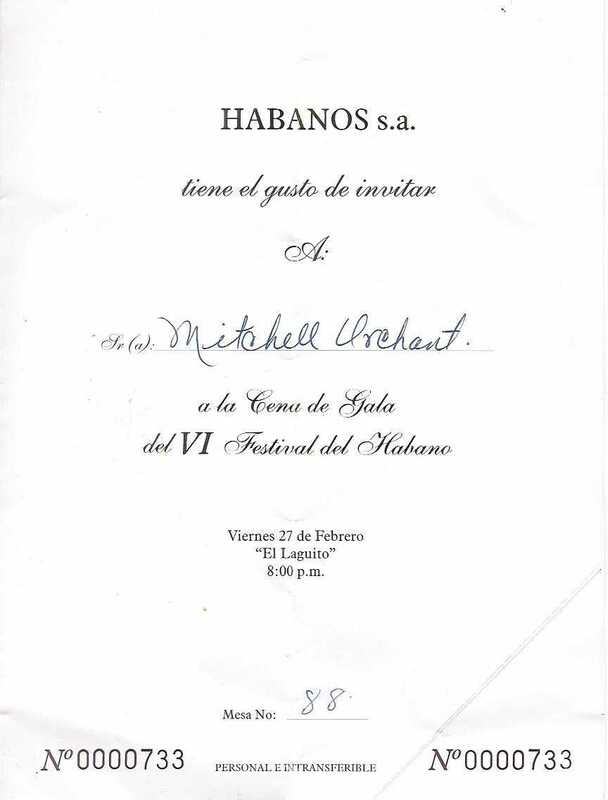 As always, Mitchell will be attending to bring us all the latest information direct from Havana, where they will be celebrating the V anniversary of the launching of the San Cristobal Le Habana brand. 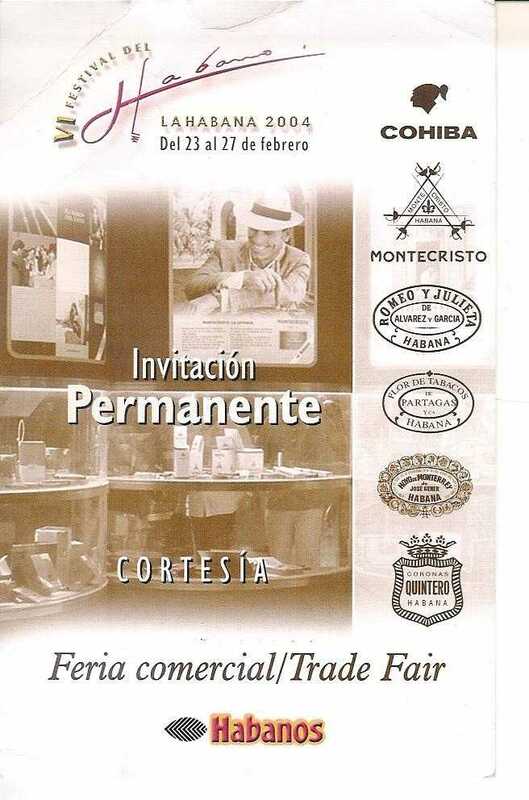 As usual it will be a week of pleasure and delight, full of good smoking and sharing experiences with experts and aficionados of Habanos, the best cigars in the world. Mitchell will be reporting here on a daily basis, with his Havana Diary, so you can find out all the latest gossip as it happens!!! So remember to check in here on a daily basis starting from Monday 23rd February. 23rd February 2004 - Mitchell Arrives!! More chaos at the hotel Nacional with over bookings and guests getting fed up with waiting at reception...welcome to Havana I thought! Enjoyed some Havana Club 15 year old with a Hoyo Piramides on the veranda at the Nacional accompanied by a lot of "the usual suspects" Keith, Alex, Mike, Valerio, Angelo and Simon Chase to name a few. 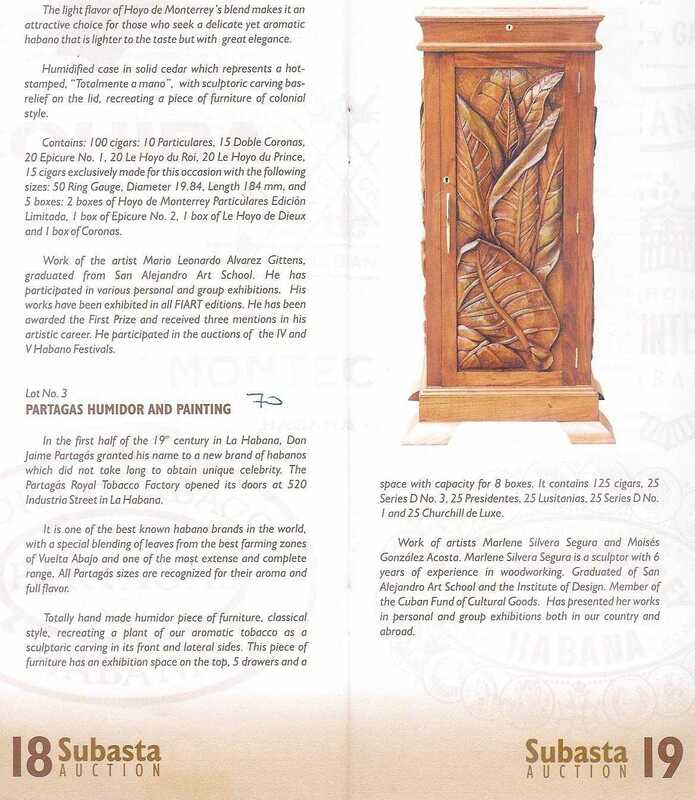 Checked out the Robaina shop at the Melia Habana (one of my favorites) and saw the new Montecristo humidor (50 Salamones and 50 Monte A) not very impressive but rather expensive at $3,800. 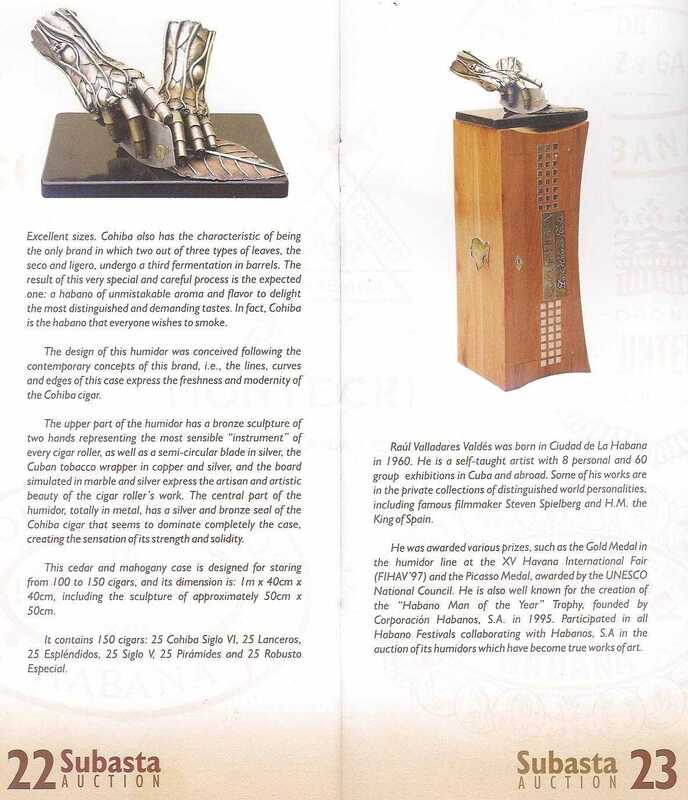 Saw the Hoyo 109 Colleccion Book ....very classy indeed. 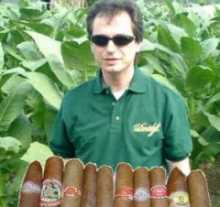 Caught a glimpse of the new Montecristo Edmundo.....that vitola is sure to be popular. Shot over to the Convention centre to check out the trade fair which started today. Had a quick drink and smoke with Johan Markwell and stayed a while at the Murray Frame and Love stand sipping strong Cuban coffee. Picked up a few antiques and souvenirs as well as my tickets for the Churchill diner at the Hotel Nacional on Wednesday and the Gala dinner on Friday. 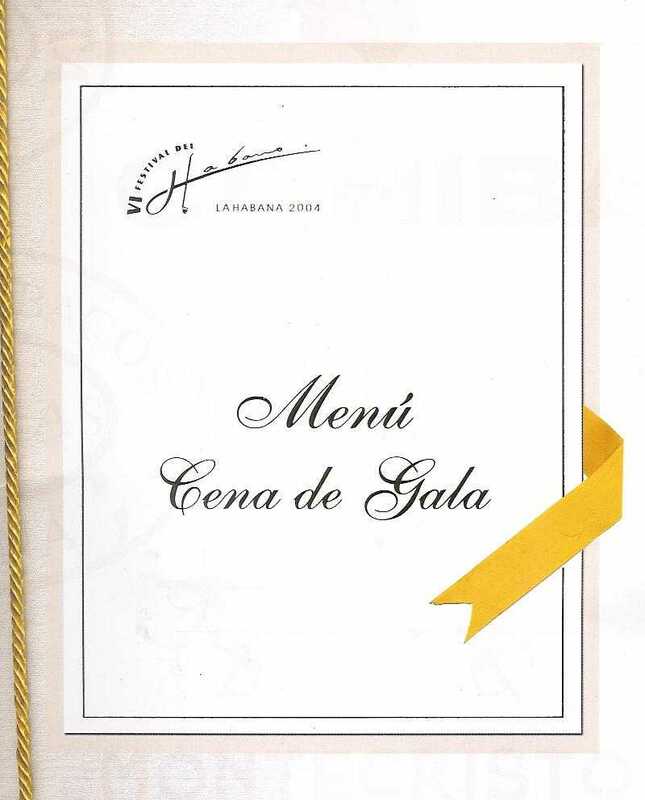 Off to a fashion show at the Melia Habana Hotel this evening......more to report tomorrow. 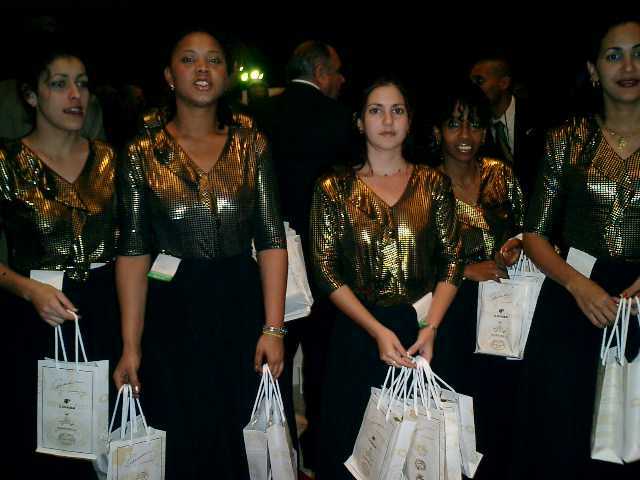 The fashion show at the Melia Habana was excellent. Beautiful models and Trinidad Fundadores cigars, cocktails and canapes... who could ask for better! I enjoyed chatting with Christoph Wolters from Germany, Nobuhiro from Japan (great surprise to see him!) 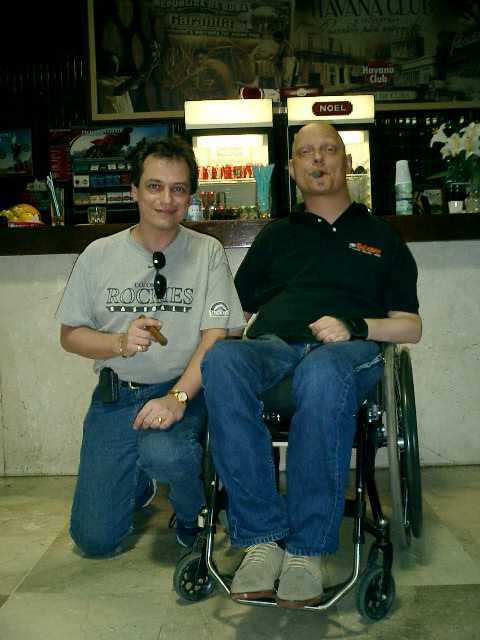 Guy Hancock from the Decent Cigar Emporium in Dublin and many others fine folks. 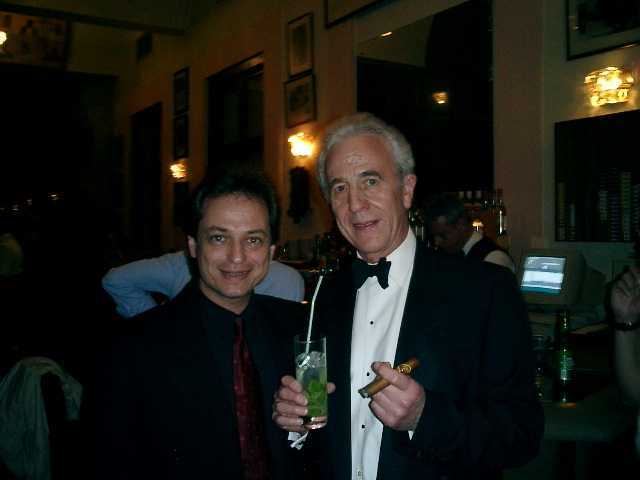 Diner was at an Italian restaurant in the Commodoro Hotel and by Cuban standards was rather "acceptable" :-) The evening finished on the veranda of the Hotel Nacional with a few of my smoking buddies, Â´93 Dom Perignon and another Trinidad Fundadores. 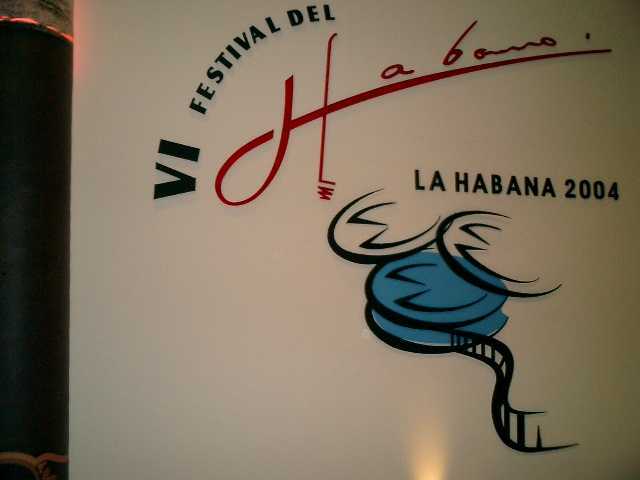 Checked out the Casa Del Habanos at the Romeo factory and the hospitality was certainly second to none. Plenty of complimentary rum, coffee, cigars and snacks...most impressive. 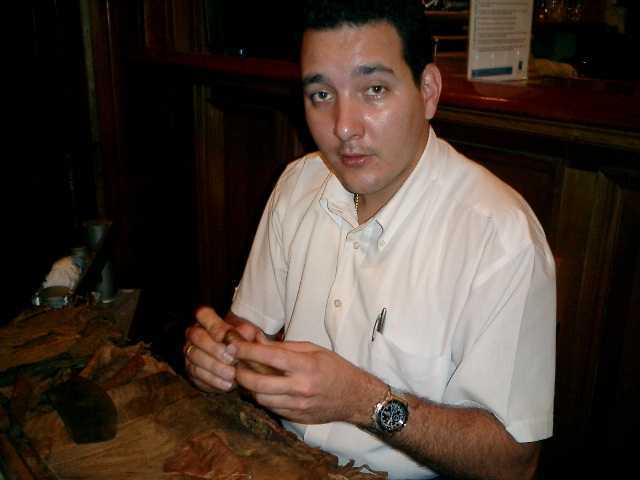 Tried a cigar rolled by Hamlet and it was very good indeed but still not in the same league as Valdes/Cueto/Toboada. On to Club Havana to test out the Enrique Mons Lonsdales ("Monsdales")... again not a bad smoke but a bit too light in flavour for me. 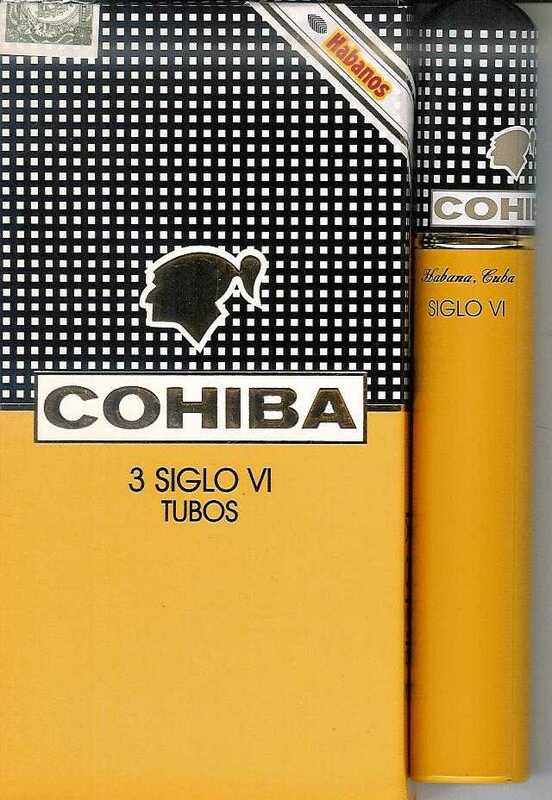 The problem with smoking custom blends in Havana is that they are too fresh for my palette and the nicotine content is so high itÂ´s not easy to detect the flavour. Time and patience is of course the key. A couple of hours round the pool at the Nacional with Keith and Alex smoking our Monsdales and then it was time for "The Churchill dinner" at the Nacional. The dinner was held outside on the veranda. We were greeted with a specially banded Robaina 85th anniversary cigars as well as a specially banded Winston Churchill cigar both of which smoked very well indeed. Around 800 people enjoyed cigars, cocktails, snacks and some great music on this very very humid evening. 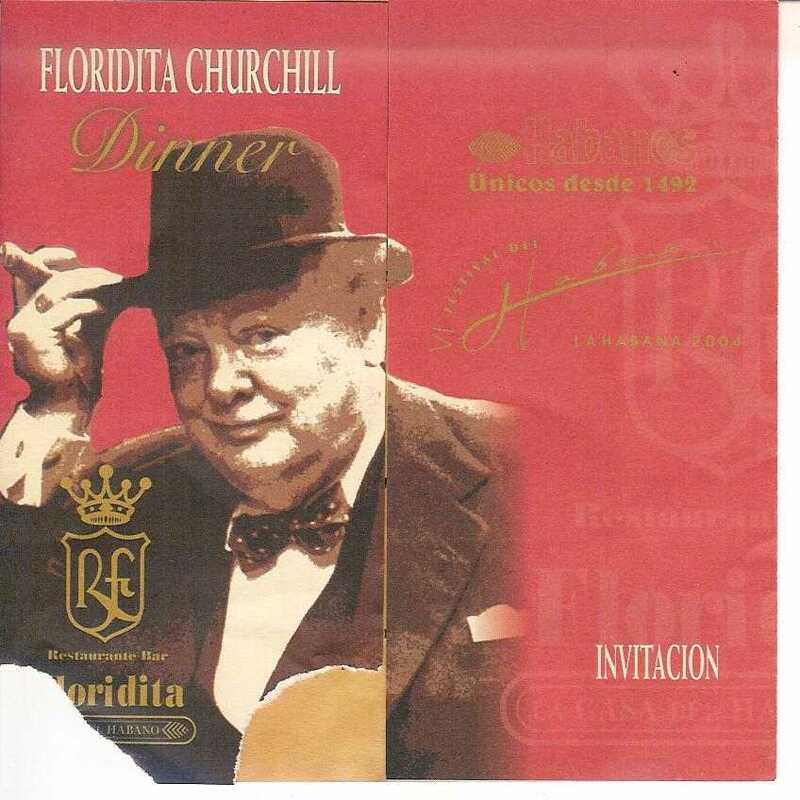 The speeches started and we heard that a new Floridita with a Casa Del Habanos will soon be opening in Londons West End. IÂ´m looking forward to spending some enjoyable evenings there! Towards the end of the speeches, the weather turned a lot cooler and there was an incredible storm so the party moved inside and continued till the early hours with plenty of champagne and various single malts. 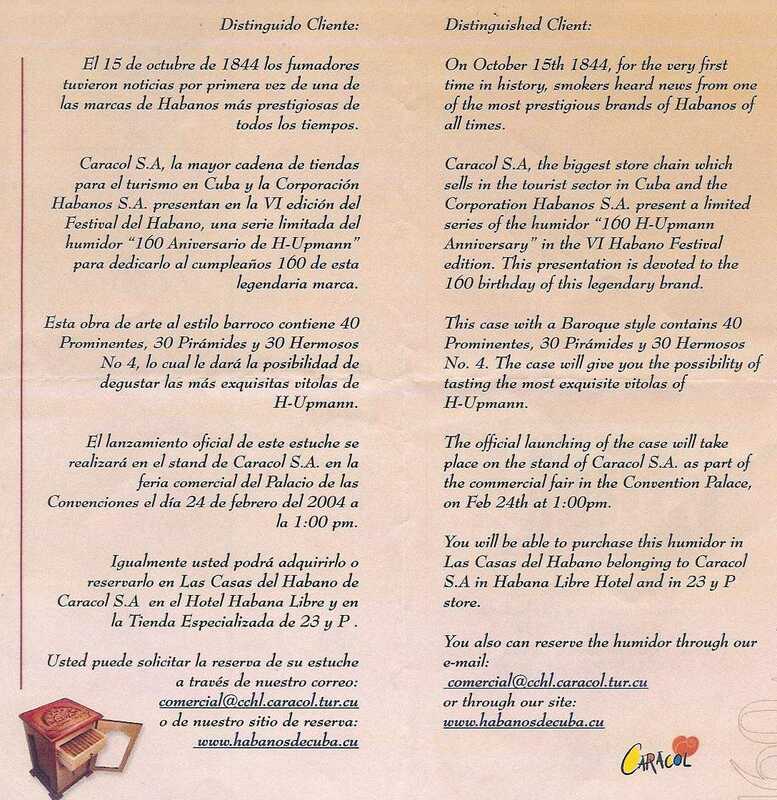 Whilst investigating the cigar industry in Havana I am delighted to report that finally the cigar merchants (and cigar smokers) dream is going to come true.....Habanos are finally aging tobacco and special warehouse have now been set up with bales of tobacco being clearly marked as to when they have been laid down and when they are to be used. I understand that 5 years age is the minimum target and this will ensure that cigars will indeed in future be matured and ready for smoking straight out of the box. I have had these facts confirmed to me by Simon Chase, the sales and marketing director of UK importers Hunters and Frankau. 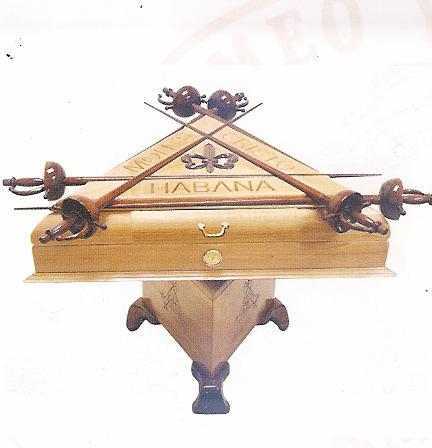 Havana cigars will truly continue to be the Rolls Royce of cigars. 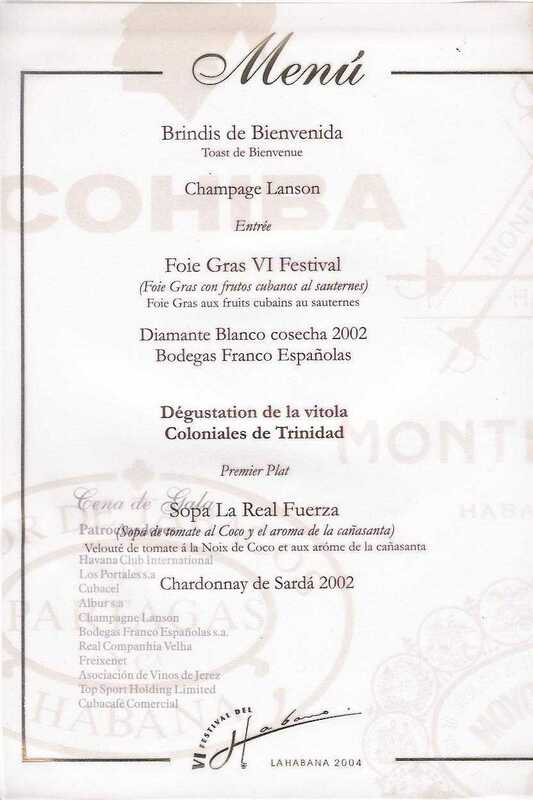 Thursday night....was invited to an evening at la Guarida restaurant hosted by James Suckling (European Editor of Cigar Aficionado) - great food and wine. 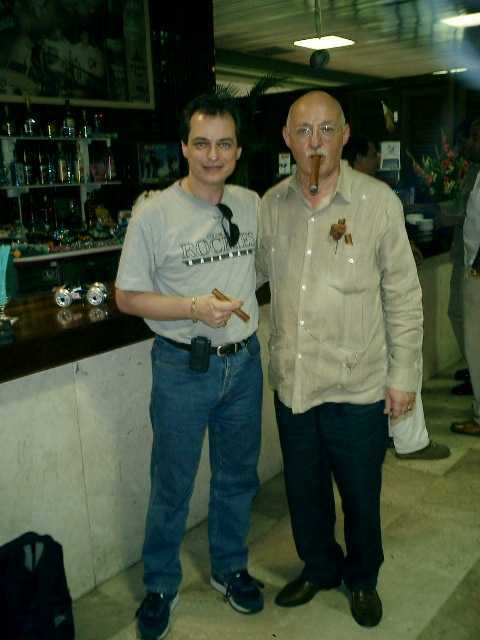 Max Guttman, the importer of Habanos for Mexico (and the first La Casa Del Habanos retailer in the world some 12 years ago) kindly gifted me a Davidoff 2000 which was very pleasant indeed. Chistoph Wolters from LCDH Germany (and of course famous for creating the Partagas 1996 Especialidad) was entertaining as usual. 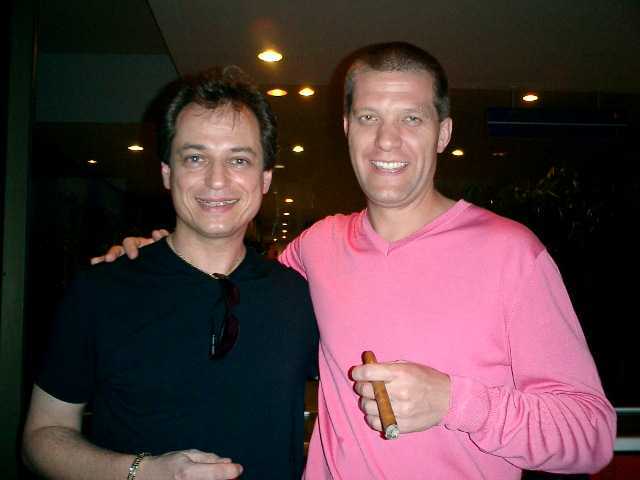 We were also joined by Simon Chase from Hunters and Frankau and other cigar connoisseurs who will probably want to remain anonymous. We all agreed that this dinner was indeed the "dinner of the year" and we would try to repeat it annually. Thanks James. 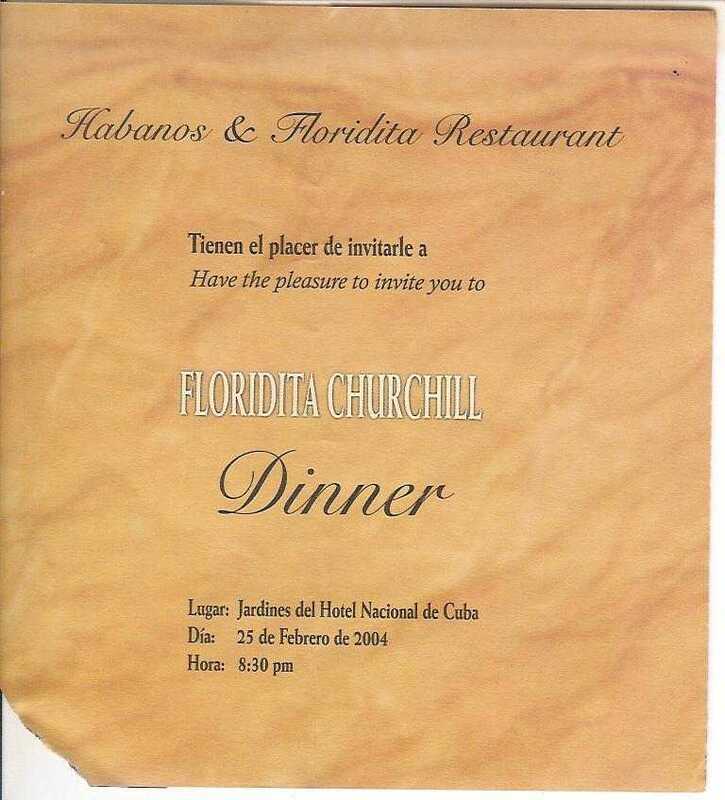 Now I have been coming to Havana for many years and enjoyed a lot of the dinners but nothing compares to this one....this truly was the best. I understand that over 850 people attended. Celebrating the 5th anniversary of the San Cristobal brand, the evening kicked off to a bit of a slow start with a Montecristo No.5 but we were gifted a 3 pack of Trinidad Robusto extra as well as the new 3 pack of beautifully tubed Cohiba Siglo VI.... all of which were smoked by the end of the evening :-) We also enjoyed a Trinidad Coloniales and San Cristobal "109" which is a prominente (double corona) with a slight taper on the head... very attractive cigar that smoked perfectly. 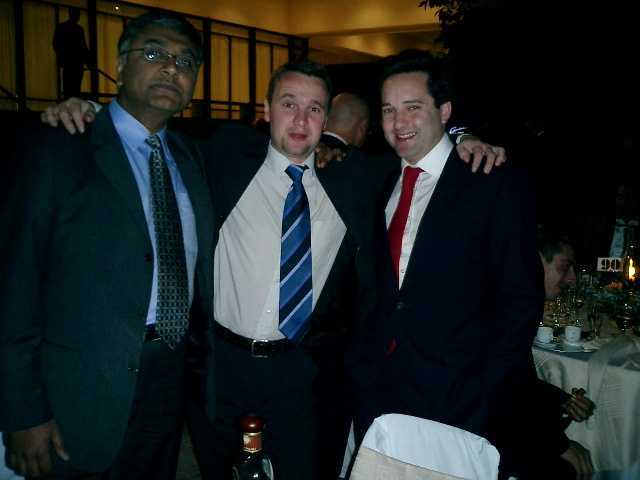 The usual Habanos men of the year awards ceremony took place (This is a bit like the Oscars of the cigar industry!) My friend Angelo Bigi was nominated in the communications category but regrettably did not win this year. I tried to ask around and find out who decides on the nomination and who votes for the winners but got the impression that this was not a democratic process ! Entertainment was provided by an excellent big band, various singers and dancers including water ballet (they must have been well cold! )....all in all hard to find fault with any aspect of the evening. Simon Chase held the auction with proceeds going to the Cuban Health service. 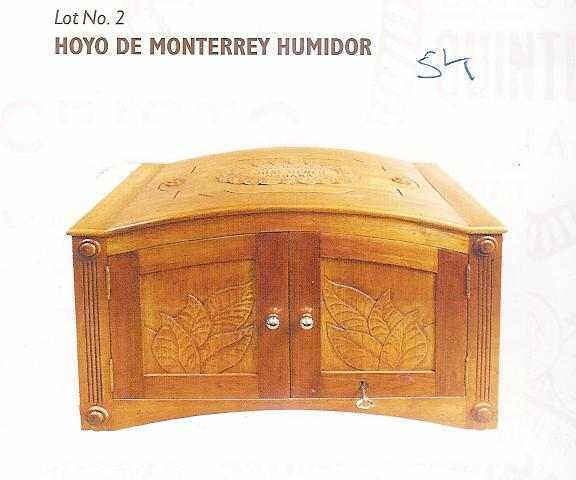 All humidors signed by Fidel Castro. 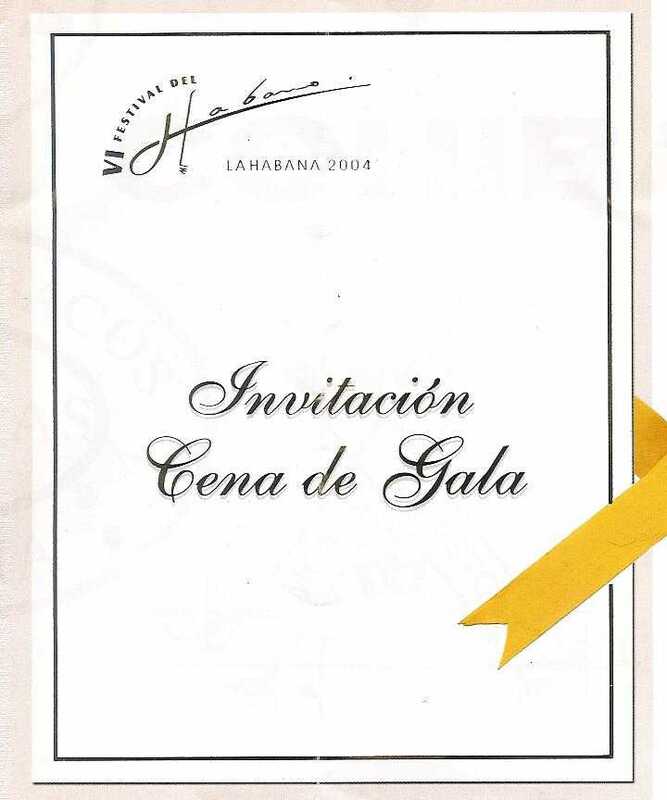 Full catalogue of auction, photos of the dinner, menus etc will be published on this webpage on Wednesday. 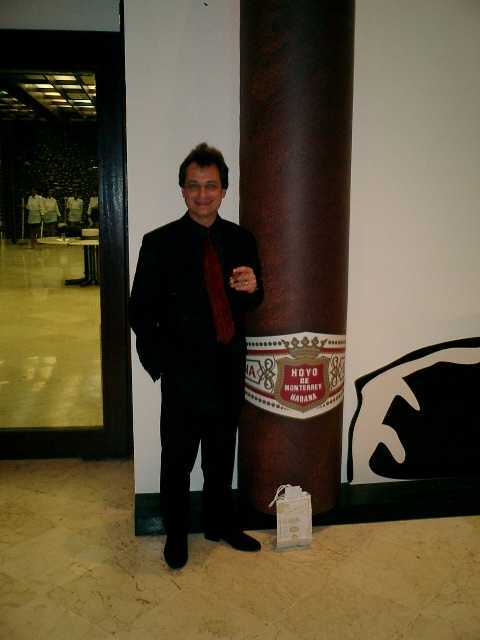 "Hamlet" roller at the Romeo shop Vimal,John and Will at Gala dinner Now that's more my size of cigar! 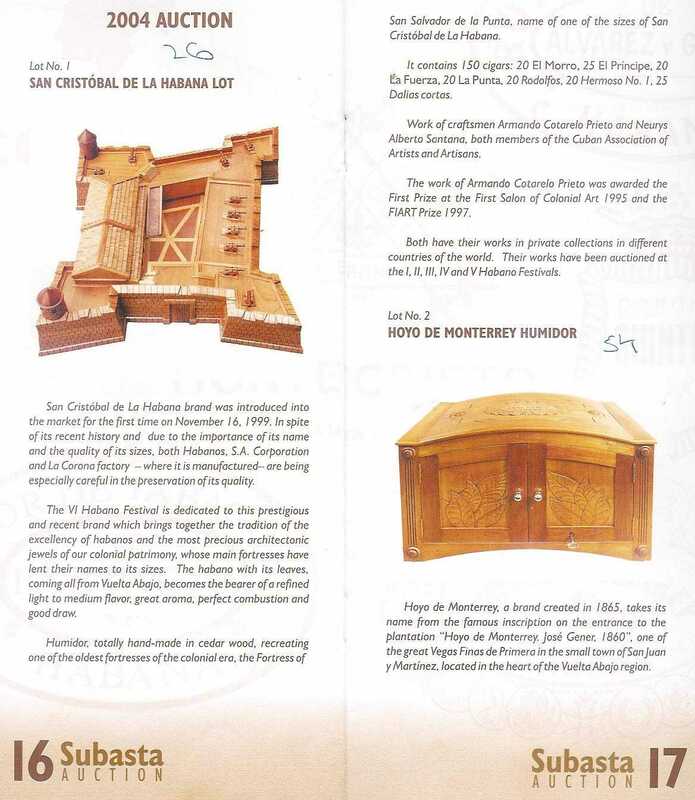 H Upmann 160th anniversary humidor Upmann 160th anniversary humidor H Upmann 160th anniversary humidor. The auction Paddle! 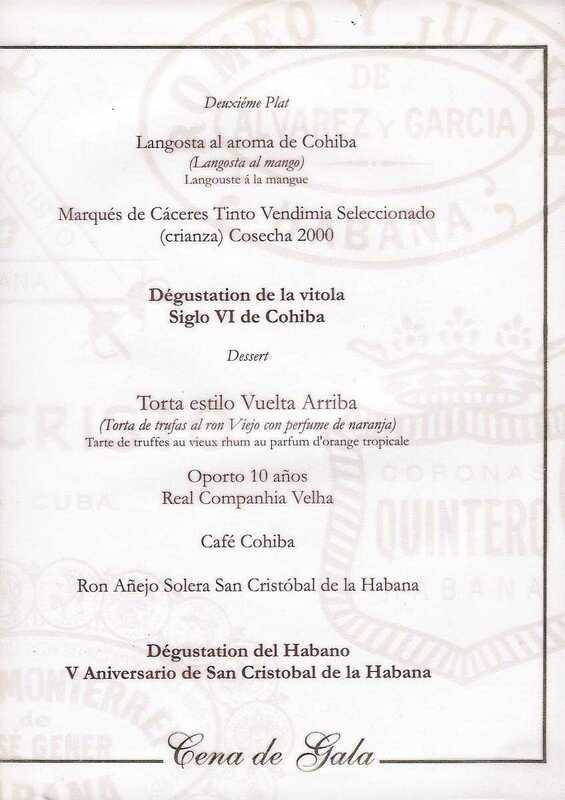 Menu from gala dinner Vegas Robaina 85th anniversary cigar from Gala dinner and Churchill cigars fromChurchill dinner at the Hotel Nacional. their faces obviously content with their new improved working environment. Q. 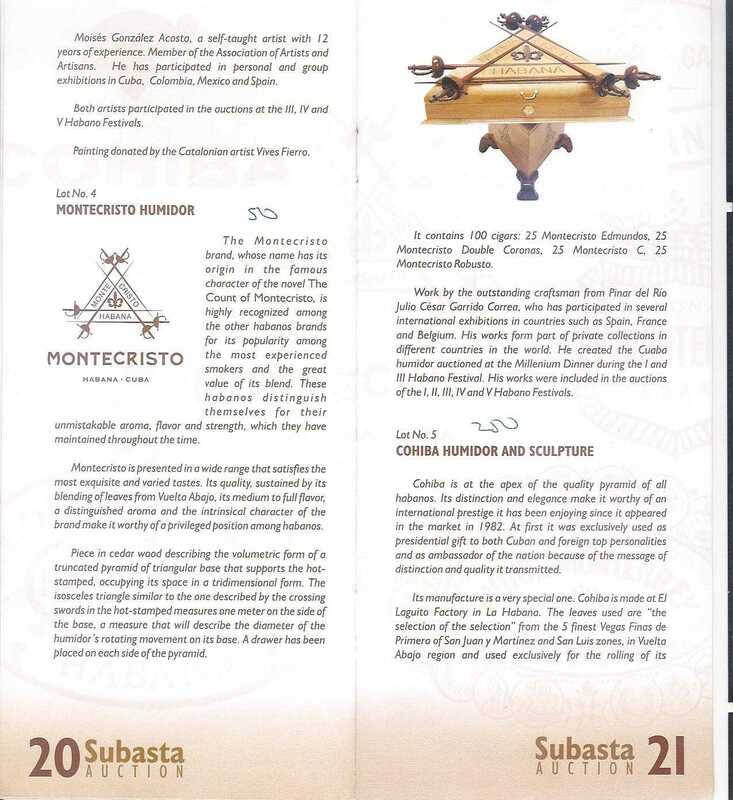 Will the Robaina book be available in your online store? I have just bought a copy of the Robaina book for our library and it is quite excellent. but I would guess that eventually they will be available on my website. available in Spanish only. 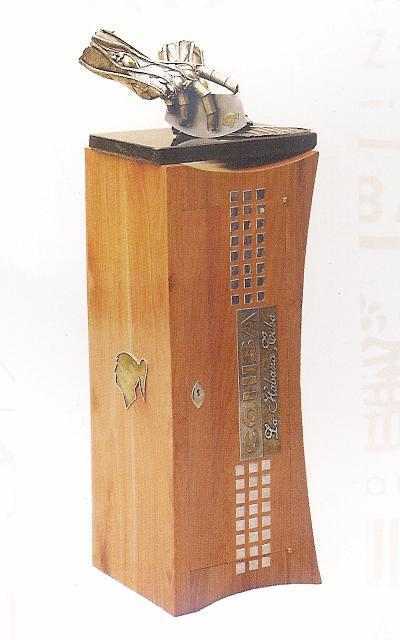 I understand that there are plans for an English translation. Q. How many of the beautiful women remember me from my last trip!!! Q. Smokin Mo! What is your favourite brand of recent production Havanas? matures it will be quite awesome! Q. Mitch, something that's always bothered me? 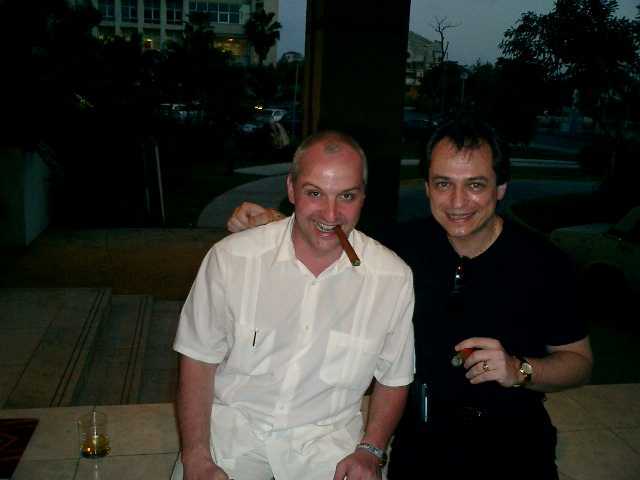 What's the difference between an H.
significant difference in blend between the 2 cigars. them as becoming highly collectible? Are boxes that are signed quite rare to come by? 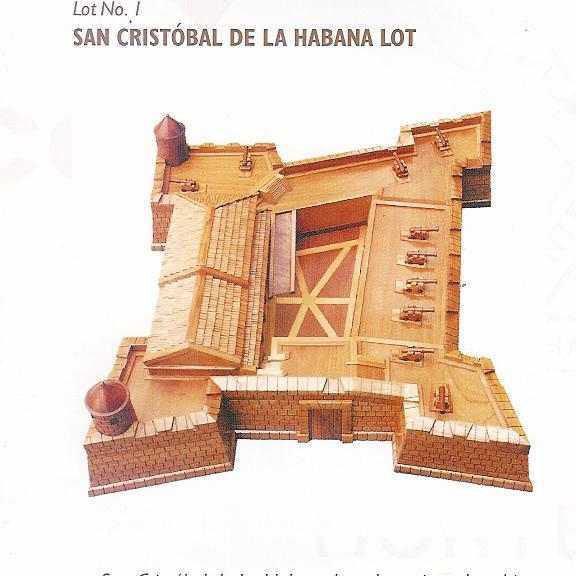 auctioned with proceeds going to the Cuban national health service. 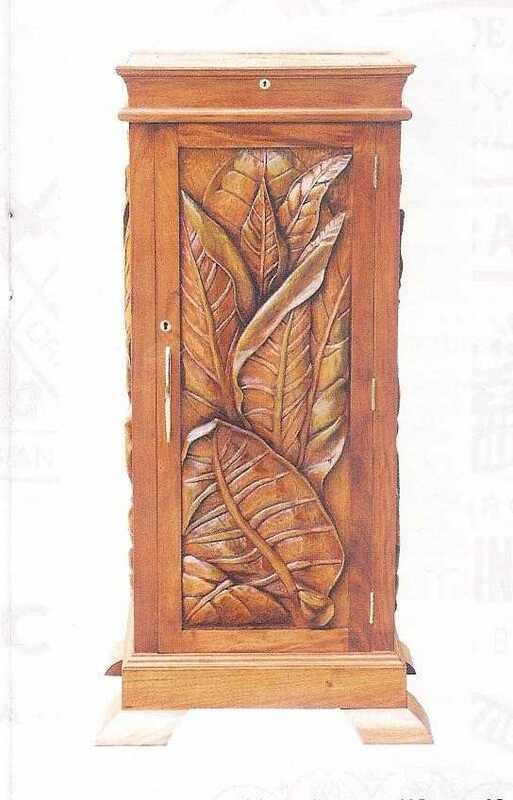 recommend I go to find good stogies? Friday...I have my fingers crossed:-) If you have any questions you'd like Mitch to try and answer for you whilst he's in Havana, just email them to me laura@cgarsltd.co.uk and I'll be sure to post the answers on this page!